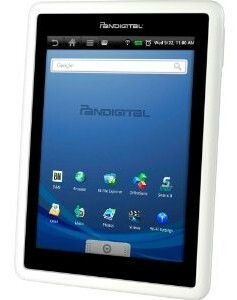 PanDigital 7-Inch Android Tablet: $78.00 w/ Free Shipping, Regularly $299.99! Right now on Amazon, you can get a PanDigital 7-Inch Android Tablet for an amazing $78.00 with free shipping. (Look on the right sidebar for the store TheFactoryD... to get this price)This regularly sells for $299.99! I have a feeling this is going to go FAST, so if you're even just a little bit interested, I'd scoop one up before they're gone! NOTE: This is a re-manufactured item, BUT if you read the reviews, you will see that it is still a great product! Out of 174 reviews, it's got a rating of 4 out of 5 stars and many people compare it to new, name-brand tablets.